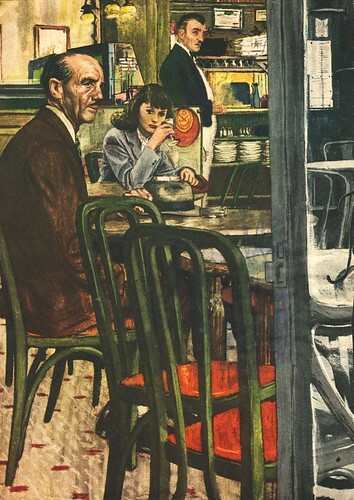 Today's Inspiration: Austin Briggs: "Feeling, intellectual craft and passion"
Austin Briggs: "Feeling, intellectual craft and passion"
"A picture," said Austin Briggs in one interview, "in the final analysis, is a synthesis of feeling, intellectual craft, and passion." "I have difficulty with all sorts of things on the craft level that I feel I should not have difficulty with. I make the broad assumption that I can do anything even though very often I can't." Looking at this diverse selection of work by this tremendously talented artist, one can't help but be impressed by the humility of such a statement. After all, Briggs was not a founding faculty member of the Famous Artists School for no reason. 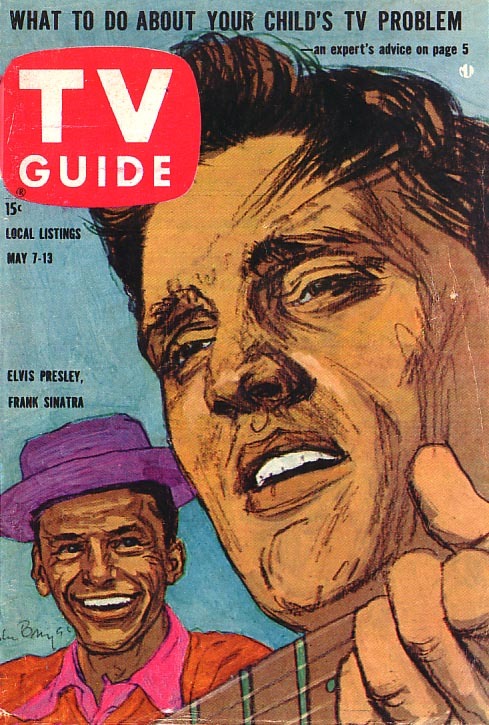 Briggs' friend, the artist Howard Munce, said of the artist: "As I look back... 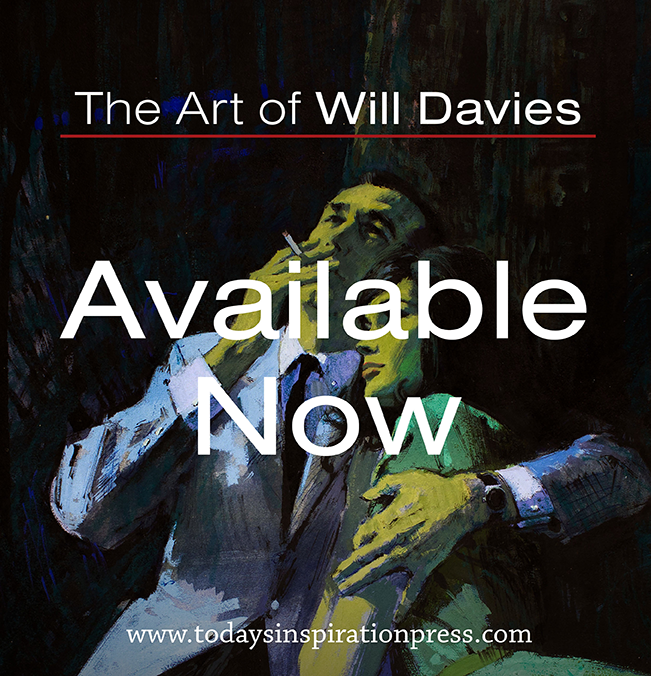 I'm re-impressed by his special ability to say things that stuck and to cause his listener to reach beyond the banalities of shop talk and glib appraisals. Articulate, intelligent people do that to you. He was both." "Beyond that of course, was a walloping talent." We'll spend a whole week looking at more of Austin Briggs' work later on this year, but I thought this brief glimpse might be just the tonic to inspire us as we begin our new year. My thanks to the five TI list members who provided the scans above and the articles from which I took today's quotes: Drazen Kozjan, Michael Lark, Brian Postman, Josh Sheppard, and Tom Watson. My Austin Briggs Flickr set. Austin Briggs is a great way to start the year! A walloping talent, indeed. I can look at Briggs' work forever, and it constantly inspires me. I just wish my own art had the energy and - for lack of a better word - BALLS that his stuff has. What a pleasant coinky-dink. I was just reading last night in an Italian book on the art of Alex Raymond that Austin worked for Alex as an assistant starting with his early newspaper strip "Secret Agent X-9". It said he then went on to ghost for Raymond on the occasional "Flash Gordon" and "Jungle Jim" strips. The author said it was the common opinion that Austin "Bud" Briggs worked mainly as an inker for Raymond. 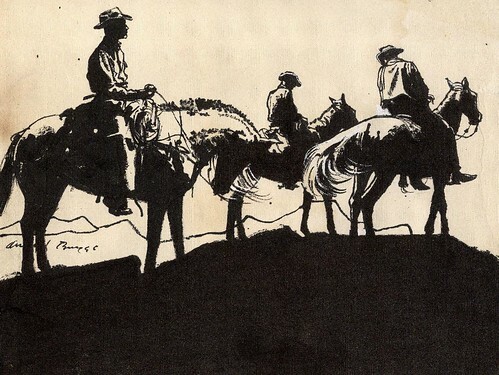 Apparently the illustration assignments were few and far between for Briggs during the Depression which lead him to drawing for the pulps and later meeting Raymond at a cocktail party (I can't imagine there being cocktail parties in post-Depression America!). That first quote was a doozy. Thanks again for all you do, Leif. Have a Happy new year leif!!! 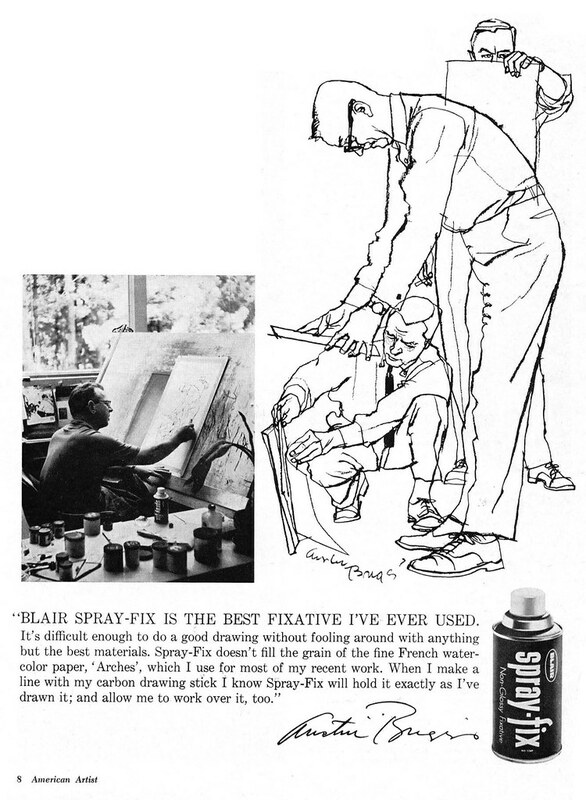 My favorite Briggs quotes are from the introduction to his Famous Artist Master Course: "If the modern illustrator is a good artist, he will make good pictures...Through his pictures the illustrator speaks to the readers of the magazines, newspapers and books of his time. His pictures will be exciting and successful only to the degree that he has learned to see, to react--and to express--what he observes and feels. My god...I thought I was the only one who thought like this. Maybe it's that drive to do better for oneself.